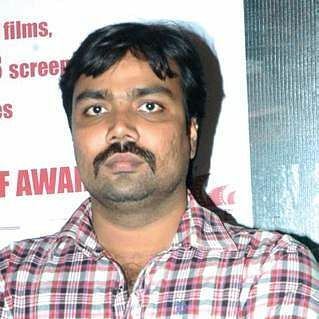 Filmmaker Balaji Tharaneetharan, of Naduvula Konjam Pakkatha Kaanom (2012) fame, is all smiles as his upcoming flick Oru Pakka Kathai, starring Kalidas Jayaram and Megha Akash, in the lead role, has been garnering a lot of appreciation from his filmmaker friends’circle. The movie was screened to Vijay Sethupathi, Karthik Subbaraj, director Vijay, Nalan Kumarasamy, Suseenthiran, Pandiraj, Pa Ranjith and Arun Vaidyanathan among a few. Balaji believes in narrating stories which appeals to him as an audience. “I take time to do movies because I want my films to connect with the common man. Oru Pakka Kathai is a drama rooted in realism. The story follow’s people’s reactions to different situations, but it’s not based on any real-life incidents,” he explains. Does this film also have a message? “Yes, there’s a social angle to the movie, but is not preachy. We shot almost 50% of the film in Chennai,” he says. While there is ith his first film being a hit, he feels there’s a certain level of expectation from the audience. “Anything which is fresh and new has always been welcomed by the audience. Also, that’s why I decided to go in with fresh faces like Kalidas and Megha.They are open to experimenting, have no date issues, and open to criticisms and feedback,” he says. He saw Kalidas performing mimicry on TV and was impressed. “I called him for the audition. After rehearsals and acting lessons, he was on board. I moulded him the way I wanted to. A theatre artiste from Koothu-P-Pattarai also trained him for this film. Kalidas has done a wonderful job,” he adds.